The Geovision 94-NC54T-C32 UVS Cube NVR Series is a compact cube shaped NVR meant for desktop installation and is great for mid-level and small security systems. Equipped with the latest Intel i5 processor and an 8 GB RAM, the system outperforms most mid-level rack mount NVRs. It comes with a built in data drive and is great for setting up a standalone, desk based security system. With the latest Intel i5 processor, 8 GB RAM memory and 4 TB of storage space, the Geovision 94-NC54T-C32 offer great processing speed. Ideal for installing a standalone security system, it comes with a dedicated 50 GB HDD Partition as System HDD, and runs on Win-7 operating system with 64-bit architecture. 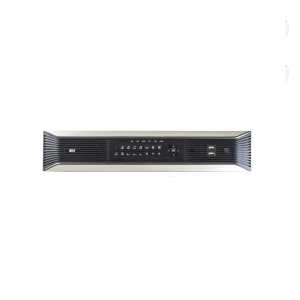 The NVR supports up to 32 network cameras and offers high-quality recording with Build in Data Drive. Also, backup all your data and archive it with the built-in DVR Burner, and enjoy worry free security with a compact sized NVR that sits on your desk and offers excellent recording capabilities.